India Blue spinners, lead by Swapnil Singh, put their team in sight of a dominating victory on day three of the Duleep Trophy Final against India Read at the NPR College Ground, Dindigul on Thursday. 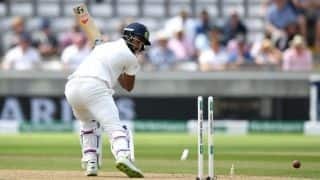 Resuming at 27 for one in reply to India Blue massive 541, India Red were bundled out for 182 in their first innings, conceding a 359-run lead with Baroda left-arm spinner Swapnil Singh claiming 5 for 58. Off spinner Deepak Hooda returned 2 for 18. 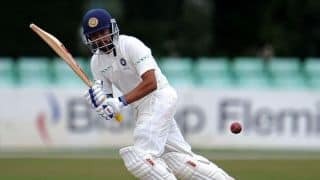 For India Red, Hyderabad’s Bavanaka Sandeep top-scored with 57 while lower-order batsmen Parvez Rasool made 22 while Prasidh Krishna added 25. 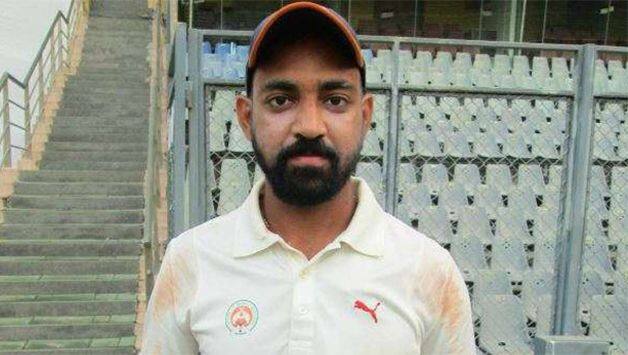 India Blue skipper Faiz Fazal asked India Red to follow on and once again their top-order failed as at close of play, India Red found themselves staring down the barrel at 128 for five with UP left-arm spinner Saurabh Kumar claiming 3 for 41. Hooda picked two for 26 as India Red finished the day trailing India Blue by 231 runs with five wickets in hand. Brief scores: India Blue 541 all out in 167.3 overs (N R Gangta 136, Anmolpreet Singh 96, Swapnil Singh 69, Parvez Rasool 4 for 150, Mihir Hirwani 3 for 190) vs India Red 182 all out in 69.1 overs (B Sandeep 57, Swapnil Singh 5 for 58) and 128 for 5 in 28 overs (Abhinav Mukund 46, Saurabh Kumar 3 for 41).